As seen on The Great British Bake Off this week... 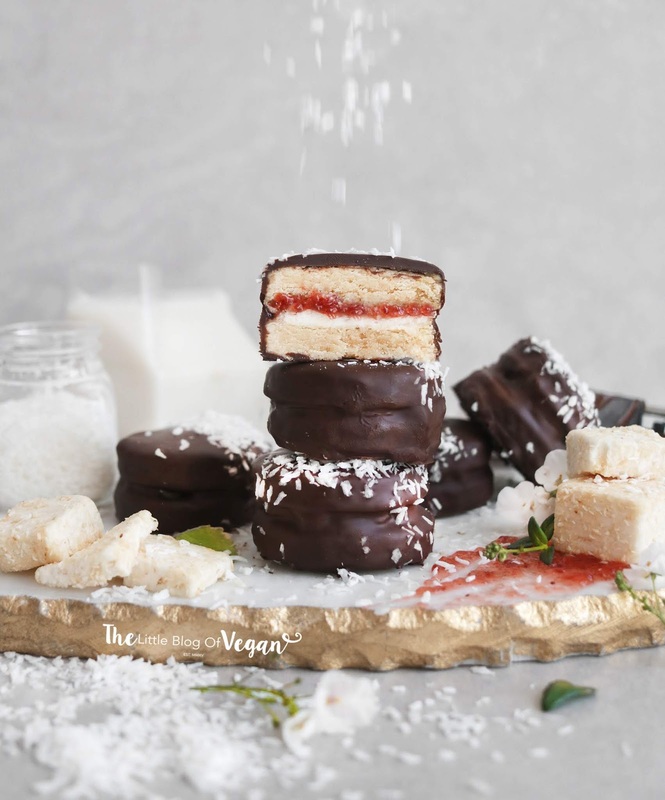 I bring to you my own vegan wagon wheels which are gluten-free too, with homemade cookies, vegan marshmallows, dairy-free chocolate, strawberry jam, and coconut for a unique twist. 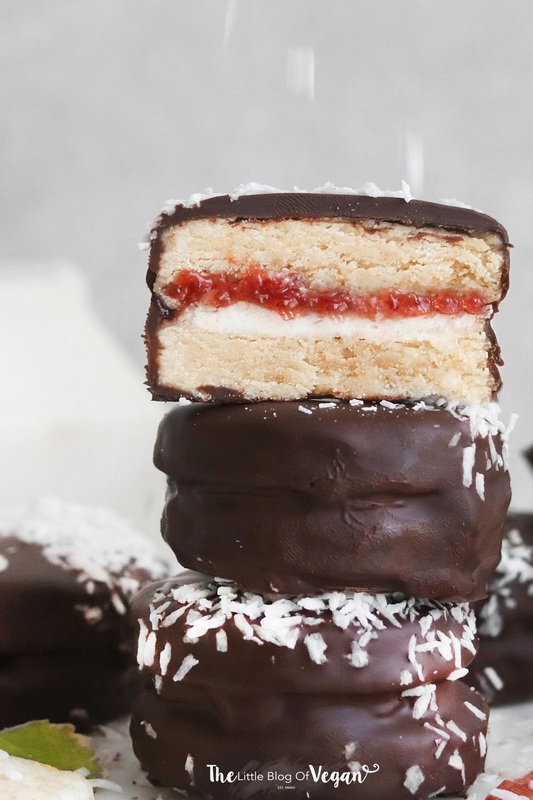 These wagon wheels are super quick & easy to make, perfect with a coffee/tea for an afternoon sweet treat. Step 2- In a mixing bowl, combine the plain flour, melted coconut oil and maple syrup. Step 3- Roll out the dough until 1/4 inch thick, then using a round cookie cutter, cut out circles and place onto the lined tray. Step 5- Once baked, carefully place them onto a cooling rack and allow them to cool fully. 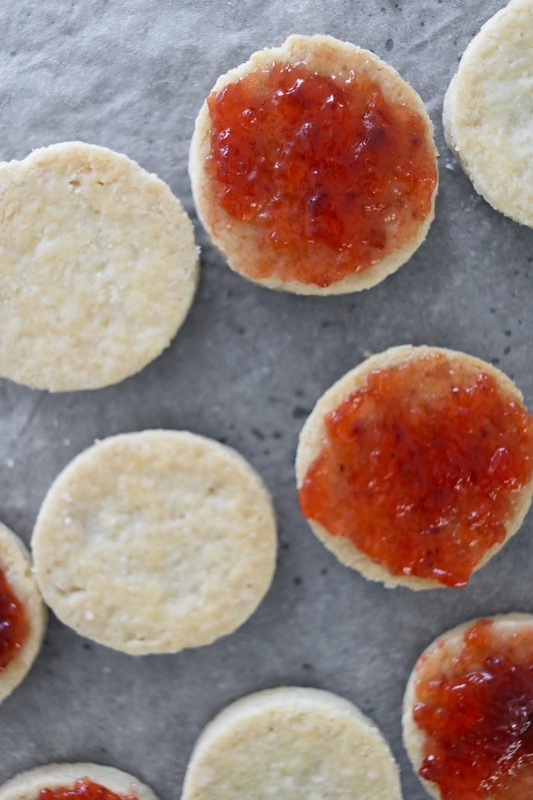 Step 1- Spread some strawberry jam over half of the biscuits. Step 2- With the remaining biscuits, place a marshmallow on top and pop into the oven to melt the marshmallow. 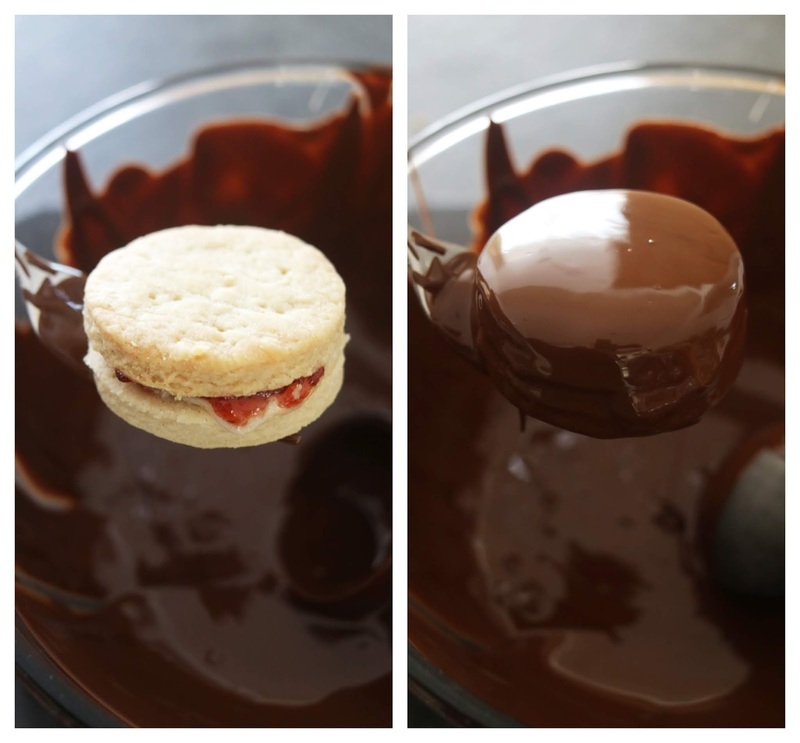 Step 4- Sandwich a jam cookie and melted marshmallow cookie together and set aside. Step 5- Using a bain-marie, melt some dairy-free dark chocolate and dunk the wagon wheels to coat. 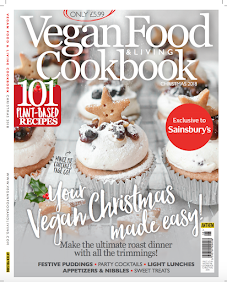 Place onto a baking tray/grease proof paper and pop into the fridge to set. Store in a sealed container in the fridge and best eaten within a few days! These look so delicious and perfect for hosting! 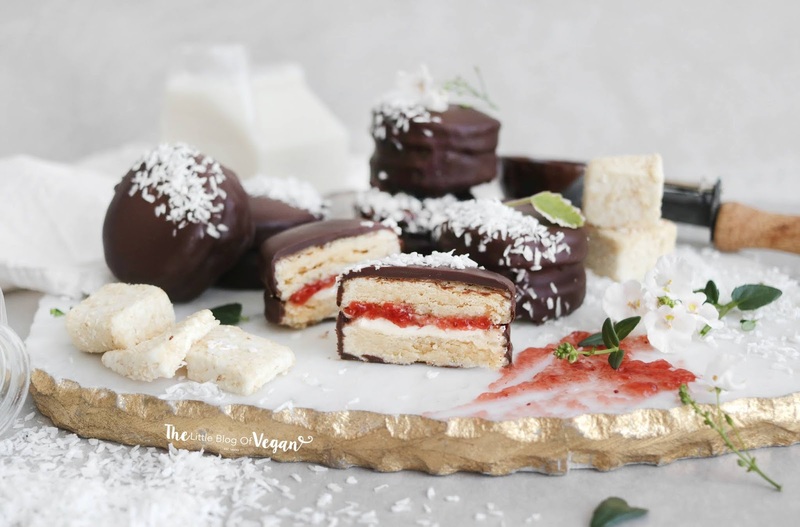 These look delicious and making these for Christmas. 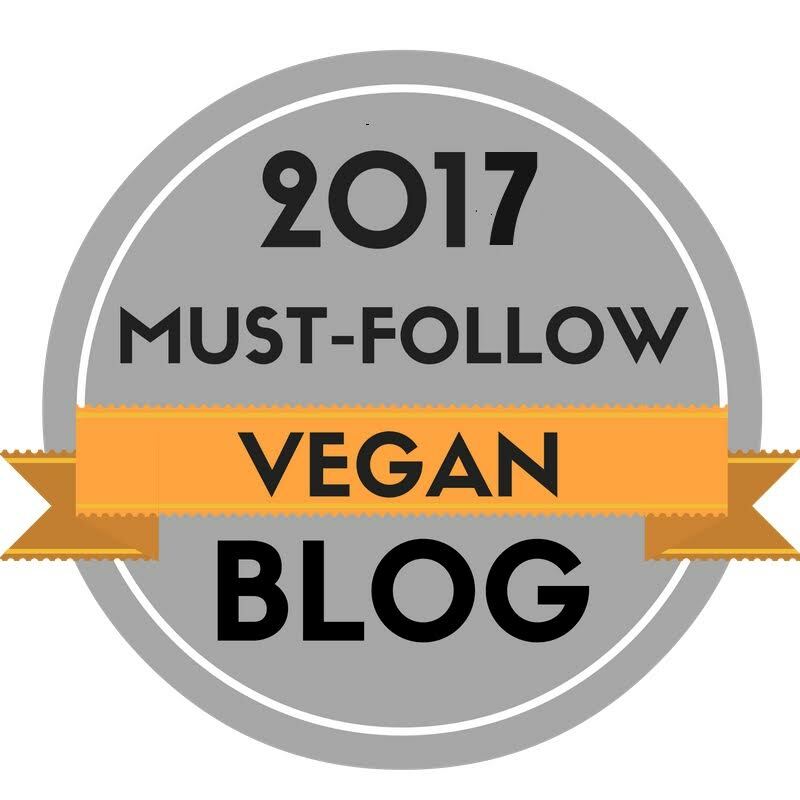 Can I use vegan butter in place of the coconut oil?